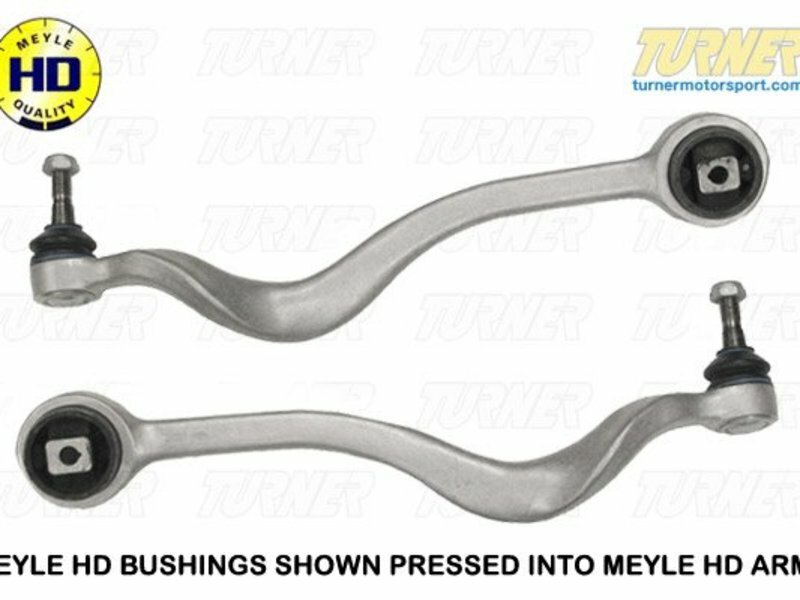 This bushing replaces the one pressed into the upper control arm - otherwise known as a tension strut or strut support arm. It's the arm with the twist. The BMW part numbers for these arms are 31 12 1 141 717 and 31 12 1 141 718. 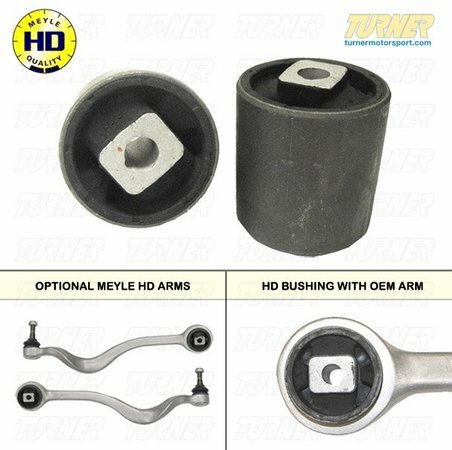 We can also supply the new control arms with the Meyle HD bushings. We offer new Meyle arms with HD metal ball joints and the HD bushings already pressed in. 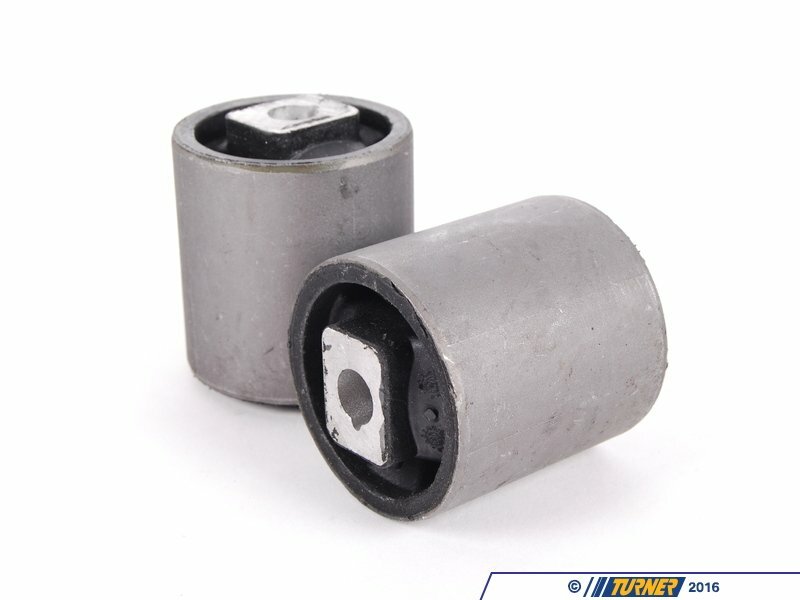 And we also offer the OEM Lemforder brand with standard ball joints and the Meyle HD bushings pressed in. Choose from the menu below.